Bryony opened the door, stepped over the threshold and saw all the books, spines outward on the shelves, faces forward on the displays, stacked on the tables and stools and on the floor, and her first thought, as always, was: Mine. And then, as always, she cocked her head, listened and sniffed, and her second thought was: Is he here? This is a story about the power of imagination; it is also about books, cats, wood-engraving and bad photography; but most of all it is about a secret. 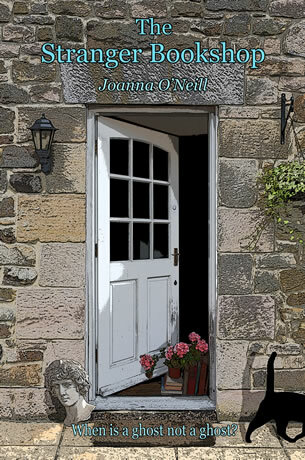 In the remote Northumbrian village of Ravensburn, struggling to run a bookshop which was once the home of cult author Edith Waterfield, Bryony is short, opinionated, death to software and desperate for help. Passing through and with time on her hands, Rosalind is hesitant, competent with computers and unable to say 'No'. While in 1921 young Edith falls hopelessly in love with the hero she has created in her own novel, in the present day Bryony and Rosalind are just as distracted by the mysteries that beset them: why did Edith stop writing in her fifties? Why are her photographs so blurry? Where did all her cats go when she died? And above all, what was in the chapter torn out of the sole surviving first edition of the novel that launched her? As Bryony and Rosalind delve into Ravensburn's past the truth that begins to emerge is stranger than dreams, for it isn't only the living who leave ghosts.